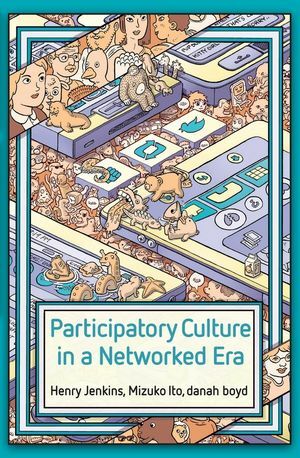 Polity is pleased to announce the publication of Participatory Culture in a Networked Era by Henry Jenkins, Mizuko Ito and danah boyd. Henry Jenkins is Provost Professor of Communication, Journalism, Cinematic Arts, and Education at the University of Southern California. Mizuko Ito is Professor in Residence and MacArthur Foundation chair in Digital Media and Learning, University of California, Irvine. danah boyd is a Principal Researcher at Microsoft Research, the Founder of Data & Society, and a Visiting Professor at New York University.